Google does search. With one of the world’s largest research groups focused exclusively on solving search problems, we know what we do well, and how we could do it better. Through continued iteration on difficult problems, we’ve been able to solve complex issues and provide continuous improvements to a service already considered the best on the web at making finding information a fast and seamless experience for millions of users. Our dedication to improving search has also allowed us to apply what we’ve learned to new products, including Gmail, Google Desktop, and Google Maps. As we continue to build new products* while making search better, our hope is to bring the power of search to previously unexplored areas, and to help users access and use even more of the ever-expanding information in their lives. Google believes in instant gratification. You want answers and you want them right now. Who are we to argue? Google may be the only company in the world whose stated goal is to have users leave its website as quickly as possible. By fanatically obsessing on shaving every excess bit and byte from our pages and increasing the efficiency of our serving environment, Google has broken its own speed records time and again. Others assumed large servers were the fastest way to handle massive amounts of data. Google found networked PCs to be faster. Where others accepted apparent speed limits imposed by search algorithms, Google wrote new algorithms that proved there were no limits. And Google continues to work on making it all go even faster. Google works because it relies on the millions of individuals posting websites to determine which other sites offer content of value. Instead of relying on a group of editors or solely on the frequency with which certain terms appear, Google ranks every web page using a breakthrough technique called PageRank™. PageRank evaluates all of the sites linking to a web page and assigns them a value, based in part on the sites linking to them. By analyzing the full structure of the web, Google is able to determine which sites have been “voted” the best sources of information by those most interested in the information they offer. This technique actually improves as the web gets bigger, as each new site is another point of information and another vote to be counted. The world is increasingly mobile and unwilling to be constrained to a fixed location. Whether it’s through their PDAs, their wireless phones or even their automobiles, people want information to come to them. Google’s innovations in this area include Google Number Search, which reduces the number of keypad strokes required to find data from a web-enabled cellular phone and an on-the-fly translation system that converts pages written in HTML to a format that can be read by phone browsers. This system opens up billions of pages for viewing from devices that would otherwise not be able to display them, including Palm PDAs and Japanese i-mode, J-Sky, and EZWeb devices. Wherever search is likely to help users obtain the information they seek, Google is pioneering new technologies and offering new solutions. Google is a business. The revenue the company generates is derived from offering its search technology to companies and from the sale of advertising displayed on Google and on other sites across the web. However, you may have never seen an ad on Google. That’s because Google does not allow ads to be displayed on our results pages unless they’re relevant to the results page on which they’re shown. So, only certain searches produce sponsored links above or to the right of the results. Google firmly believes that ads can provide useful information if, and only if, they are relevant to what you wish to find. Google has also proven that advertising can be effective without being flashy. Google does not accept pop-up advertising, which interferes with your ability to see the content you’ve requested. We’ve found that text ads (AdWords) that are relevant to the person reading them draw much higher clickthrough rates than ads appearing randomly. Google’s maximization group works with advertisers to improve clickthrough rates over the life of a campaign, because high clickthrough rates are an indication that ads are relevant to a user’s interests. Any advertiser, no matter how small or how large, can take advantage of this highly targeted medium, whether through our self-service advertising program that puts ads online within minutes, or with the assistance of a Google advertising representative. Advertising on Google is always clearly identified as a “Sponsored Link.” It is a core value for Google that there be no compromising of the integrity of our results. We never manipulate rankings to put our partners higher in our search results. No one can buy better PageRank. Our users trust Google’s objectivity and no short-term gain could ever justify breaching that trust. Thousands of advertisers use our Google AdWords program to promote their products; we believe AdWords is the largest program of its kind. In addition, thousands of web site managers take advantage of our Google AdSense program to deliver ads relevant to the content on their sites, improving their ability to generate revenue and enhancing the experience for their users. Once Google had indexed more of the HTML pages on the Internet than any other search service, our engineers turned their attention to information that was not as readily accessible. Sometimes it was just a matter of integrating new databases, such as adding a phone number and address lookup and a business directory. Other efforts required a bit more creativity, like adding the ability to search billions of images and a way to view pages that were originally created as PDF files. The popularity of PDF results led us to expand the list of file types searched to include documents produced in a dozen formats such as Microsoft Word, Excel and PowerPoint. For wireless users, Google developed a unique way to translate HTML formatted files into a format that could be read by mobile devices. The list is not likely to end there as Google’s researchers continue looking into ways to bring all the world’s information to users seeking answers. Though Google is headquartered in California, our mission is to facilitate access to information for the entire world, so we have offices around the globe. To that end we maintain dozens of Internet domains and serve more than half of our results to users living outside the United States. Google search results can be restricted to pages written in more than 35 languages according to a user’s preference. We also offer a translation feature to make content available to users regardless of their native tongue and for those who prefer not to search in English, Google’s interface can be customized into more than 100 languages. To accelerate the addition of new languages, Google offers volunteers the opportunity to help in the translation through an automated tool available on the Google.com website. This process has greatly improved both the variety and quality of service we’re able to offer users in even the most far flung corners of the globe. Google’s founders have often stated that the company is not serious about anything but search. They built a company around the idea that work should be challenging and the challenge should be fun. To that end, Google’s culture is unlike any in corporate America, and it’s not because of the ubiquitous lava lamps and large rubber balls, or the fact that the company’s chef used to cook for the Grateful Dead. In the same way Google puts users first when it comes to our online service, Google Inc. puts employees first when it comes to daily life in our Googleplex headquarters. There is an emphasis on team achievements and pride in individual accomplishments that contribute to the company’s overall success. Ideas are traded, tested and put into practice with an alacrity that can be dizzying. Meetings that would take hours elsewhere are frequently little more than a conversation in line for lunch and few walls separate those who write the code from those who write the checks. This highly communicative environment fosters a productivity and camaraderie fueled by the realization that millions of people rely on Google results. Give the proper tools to a group of people who like to make a difference, and they will. Always deliver more than expected. Google does not accept being the best as an endpoint, but a starting point. Through innovation and iteration, Google takes something that works well and improves upon it in unexpected ways. Search works well for properly spelled words, but what about typos? One engineer saw a need and created a spell checker that seems to read a user’s mind. It takes too long to search from a WAP phone? Our wireless group developed Google Number Search to reduce entries from three keystrokes per letter to one. With a user base in the millions, Google is able to identify points of friction quickly and smooth them out. Google’s point of distinction however, is anticipating needs not yet articulated by our global audience, then meeting them with products and services that set new standards. This constant dissatisfaction with the way things are is ultimately the driving force behind the world’s best search engine. * Full-disclosure update: When we first wrote these “10 things” four years ago, we included the phrase “Google does not do horoscopes, financial advice or chat.” Over time we’ve expanded our view of the range of services we can offer –- web search, for instance, isn’t the only way for people to access or use information -– and products that then seemed unlikely are now key aspects of our portfolio. This doesn’t mean we’ve changed our core mission; just that the farther we travel toward achieving it, the more those blurry objects on the horizon come into sharper focus (to be replaced, of course, by more blurry objects). 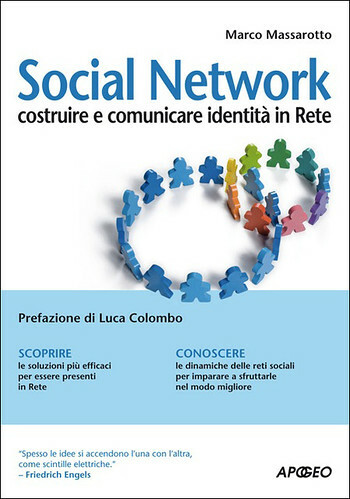 Questo articolo è stato pubblicato in Technology, Work il 15-07-2008 da marcomassarotto. una volta ho letto: inglese è bello, ma a tarda sera italiano è meglio. 1. Attenzione all’utente: tutto il resto viene dopo. L’interfaccia è chiara e semplice. Le pagine vengono caricate all’istante. Il posizionamento nei risultati della ricerca non viene mai venduto. Mettendo sempre al primo posto gli interessi dell’utente, Google ha creato il pubblico più fedele sul Web. Tale crescita non ha avuto luogo tramite la TV o campagne pubblicitarie, ma grazie al passaparola da un utente all’altro. Google si dedica alla ricerca. Con uno dei gruppi di ricerca tra i più grandi al mondo dedicato esclusivamente alla risoluzione dei problemi della ricerca, siamo consapevoli di ciò facciamo bene e di come possiamo farlo meglio. Mediante la continua iterazione di problemi di difficile soluzione, siamo riusciti a risolvere situazioni complesse e apportare continui miglioramenti a un servizio già considerato il migliore sul Web e a rendere la ricerca di informazioni un’esperienza rapida ed efficace per milioni di utenti. Inoltre, il nostro impegno a migliorare la ricerca ci ha consentito di applicare ciò che abbiamo appreso a nuovi prodotti, quali Gmail, Google Desktop e Google Maps. Man mano che continuiamo ad aumentare il numero dei nostri prodotti* e al contempo migliorare la ricerca, speriamo portare la potenza della ricerca in aree inesplorate e aiutare gli utenti ad accedere e utilizzare una quantità maggiore delle informazioni in costante aumento presenti nella loro vita. Google crede nella gratificazione immediata. L’utente vuole delle risposte e le vuole subito. Chi siamo noi per non essere d’accordo? Google è probabilmente l’unica società al mondo il cui obiettivo dichiarato è fare in modo che i propri utenti abbandonino il sito Google al più presto. Con l’ossessione di eliminare ogni bit e byte in eccesso dalle proprie pagine e di aumentare l’efficienza del proprio ambiente di elaborazione, Google ha ripetutamente infranto i propri record di velocità. Altri hanno ipotizzato che l’uso di grandi server fosse il modo più rapido di gestire enormi quantitativi di dati. Google ha riscontrato che i PC collegati in rete erano più veloci. Mentre altri hanno accettato limiti di velocità apparenti imposti dagli algoritmi di ricerca, Google ha scritto nuovi algoritmi che hanno dimostrato l’assenza di limiti. Google continua a lavorare per rendere il tutto ancora più veloce. Il successo di Google si basa sui milioni di individui che pubblicano siti Web, per determinare quali altri siti offrono contenuti validi. Anziché basarsi su un gruppo di redattori o unicamente sulla frequenza con cui certi termini compaiono, Google classifica ogni pagina Web utilizzando una tecnica innovativa denominata PageRank™. PageRank valuta tutti i siti collegati a una pagina Web e assegna loro un valore, basato in parte sui siti ad essi collegati. Analizzando l’intera struttura del Web, Google è in grado di determinare quali siti sono stati “votati” come migliori risorse di informazioni da coloro che sono maggiormente interessati alle informazioni offerte. Questa tecnica, in effetti, migliora man mano che il Web aumenta di dimensioni, in quanto ogni nuovo sito è un’altra fonte di informazioni e un altro voto da calcolare. La società attuale è sempre più mobile e meno disposta ad essere vincolata a un luogo fisso. O tramite i PDA, i telefoni wireless o le loro automobili, gli utenti desiderano che le informazioni vengano verso di loro. Le innovazioni di Google in questo campo includono Google Number Search, che riduce il numero di battute sul tastierino necessarie per cercare i dati da un telefono cellulare abilitato al Web, e un sistema di conversione istantanea delle pagine scritte in HTML in un formato leggibile dai phone browser. Questo sistema consente di aprire miliardi di pagine con dispositivi altrimenti non in grado di visualizzarle, inclusi i PDA palmari e i dispositivi giapponesi i-mode, J-Sky e EZWeb. Google è all’avanguardia con nuove tecnologie e offre nuove soluzioni ovunque la ricerca sia in grado di aiutare gli utenti ad ottenere le informazioni desiderate. Google è un’azienda. Le entrate generate dalla società derivano dall’offerta alle aziende della sua tecnologia di ricerca e dalla vendita di pubblicità visualizzata su Google e su altri siti Web. È probabile tuttavia che non abbiate mai visto un annuncio su Google. Ecco perché Google non consente la visualizzazione degli annunci sulle proprie pagine dei risultati, a meno che non siano pertinenti con la pagina nella quale vengono visualizzati. Per questo motivo, solo alcune ricerche producono collegamenti sponsorizzati che vengono visualizzati sopra o a destra dei risultati. Google crede fermamente che gli annunci possano fornire informazioni utili solo se sono pertinenti con ciò che si desidera cercare. Google ha dimostrato inoltre che la pubblicità può essere efficace senza essere appariscente. Google non accetta annunci popup, che interferiscono con la capacità dell’utente di vedere il contenuto richiesto. Abbiamo riscontrato che gli annunci di testo (AdWords) pertinenti per la persona che li legge attraggono percentuali di clic molto maggiori degli annunci che appaiono casualmente. Il team Google dedicato alla massimizzazione collabora con gli inserzionisti per migliorare le percentuali di clic per la durata di una campagna, in quanto percentuali di clic elevate sono indice della pertinenza degli annunci per gli interessi degli utenti. Qualsiasi inserzionista, a prescindere dalle dimensioni, può usufruire di questo mezzo molto mirato sia tramite il nostro programma di pubblicità self-service, che pubblica gli annunci online in pochi minuti, sia con l’assistenza di un rappresentate pubblicitario Google. La pubblicità su Google è sempre chiaramente identificata come “Collegamento sponsorizzato”. È estremamente importante per Google che l’integrità dei risultati non venga compromessa. Non manipoliamo mai le classifiche per collocare i nostri partner più in alto nei risultati della ricerca. Nessuno può comprare PageRank migliori. I nostri utenti hanno fiducia nell’obiettività di Google e nessun guadagno a breve termine potrebbe mai giustificare il venir meno di tale fiducia. Migliaia di inserzionisti utilizzano il nostro programma AdWords di Google per pubblicizzare i propri prodotti. Riteniamo che AdWords sia il più importante programma di questo tipo. Inoltre, migliaia di gestori di siti Web usufruiscono del programma AdSense di Google per pubblicare annunci pertinenti con il contenuto dei propri siti, migliorando la propria capacità di generare entrate e potenziare l’esperienza dei propri utenti. Dopo aver indicizzato più pagine HTML su Internet di qualsiasi altro servizio di ricerca, i tecnici Google hanno volto l’attenzione alle informazioni non immediatamente accessibili. A volte si trattava semplicemente di un problema di integrazione di nuovi database, come ad esempio l’aggiunta di una funzione di ricerca di numeri di telefono e indirizzi e di un elenco commerciale. Altri casi hanno richiesto un po’ di creatività in più, come l’aggiunta della funzione di ricerca di oltre 880 milioni di immagini e di un sistema di visualizzazione delle pagine originariamente create come file PDF. La popolarità dei risultati in formato PDF ci ha portati ad espandere l’elenco dei tipi di file inclusi nelle ricerche, in modo da includere i documenti creati in una decina di formati quali Microsoft Word, Excel e PowerPoint. Per gli utenti wireless, Google ha sviluppato un metodo unico per convertire i file da formato HTML a un formato leggibile dai dispositivi portatili. L’elenco non si limiterà sicuramente a questo, in quanto i ricercatori di Google continuano a studiare nuovi metodi per mettere a disposizione degli utenti in cerca di risposte tutte le informazioni del mondo. Nonostante la sede centrale di Google sia in California, abbiamo uffici in tutto il mondo e la nostra missione è facilitare l’accesso alle informazioni alle persone di tutto il mondo. Per questo motivo, gestiamo decine di domini Internet e più di metà dei nostri risultati vengono elaborati per gli utenti situati fuori dagli Stati Uniti. I risultati della ricerca Google possono essere limitati a pagine scritte in oltre 35 lingue a seconda delle preferenze dell’utente. Offriamo inoltre una funzione di traduzione per rendere i contenuti disponibili per gli utenti a prescindere dalla loro lingua madre; inoltre, per coloro che preferiscono non cercare in inglese, l’interfaccia di Google può essere personalizzata in circa 100 lingue. Per accelerare l’aggiunta di nuove lingue, Google offre a persone volontarie l’opportunità di rendersi utili con la traduzione mediante uno strumento automatico disponibile sul sito Google.com. Questo processo ha enormemente migliorato sia la varietà che la qualità del servizio che siamo in grado di offrire agli utenti anche negli angoli più remoti del globo. 9. È possibile essere seri anche senza giacca e cravatta. I fondatori di Google hanno spesso dichiarato che la società è “seria” solo per quanto concerne la ricerca. Essi hanno costruito un’azienda basata sull’idea che il lavoro deve essere una sfida e che tale sfida deve essere divertente. A questo proposito, la cultura di Google è diversa da qualsiasi altra e non a causa delle onnipresenti “lava lamp” e delle grandi palle di gomma. Google mette gli utenti al primo posto quando si tratta del servizio online e i dipendenti al primo posto quando si tratta della vita di tutti i giorni. L’enfasi è sui risultati conseguiti dal team e sull’orgoglio dei risultati individuali che contribuiscono al successo globale della società. Le idee vengono condivise dopo essere testate e quindi realizzate con una prontezza che può essere sconcertante. I meeting, che in altre aziende richiederebbero ore, si limitano spesso a una breve conversazione in fila alla mensa durante la pausa pranzo; inoltre, coloro che scrivono i codici sono separati solo da piccole barriere da coloro che firmano gli assegni. Questo ambiente estremamente comunicativo favorisce una produttività e un cameratismo alimentati dalla consapevolezza che milioni di persone confidano sui risultati di Google. Date gli strumenti giusti a un gruppo di persone che amano fare la differenza e loro la faranno. Dare sempre di più di quanto ci si aspetta. Google non accetta l’idea che essere i migliori sia l’obiettivo finale, ma ritiene che debba essere il punto di partenza. Tramite innovazione e iterazione, Google si dedica a migliorare qualcosa che già funziona bene per ottenere risultati inaspettati. La ricerca funziona bene per quanto riguarda le parole digitate correttamente; ma cosa accade in presenza di errori di ortografia? I nostri tecnici hanno individuato una necessità e hanno creato un correttore ortografico che sembra leggere la mente dell’utente. La ricerca da un telefono WAP richiede troppo tempo? 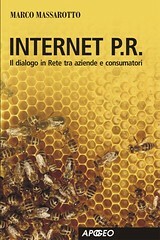 Il nostro gruppo wireless ha sviluppato lo strumento Google Number Search per ridurre la lunghezza delle voci immesse da tre battute per lettera a una. Con un database di utenti composto da milioni di persone, Google è in grado di identificare rapidamente i punti di attrito e di eliminarli. L’elemento distintivo di Google tuttavia è la capacità di anticipare le esigenze non ancora articolate del pubblico globale e quindi nel soddisfarle con prodotti e servizi che impongono nuovi standard. Questa costante insoddisfazione è in definitiva la forza trainante alla base del migliore motore di ricerca al mondo.